Rise & shine with a dynamic and energising 60 minute flow to start your day. Suitable for all levels. Integrating a flowing vinyasa sequence with long held stretches, VinYin is a holistic yoga experience balancing yin and yang through movement and stillness. With slower transitions between the poses, Slow Flow is suitable for all ages and levels, particularly beginners and those recovering from illness or injury. A stronger vinyasa flow class for intermediate students or those seeking a more dynamic style of practice to build strength and stamina as well as flexibility. A dynamic and energising 60 minute vinyasa style flow to start your day. Stretch, strengthen and relax in this therapeutic class with simple postures and breathing practices. Modifications will be offered for injuries or illness. Vinyasa classes are rhythmic and flowing in style, connecting movement with the breath and warming the body gradually, leaving you feeling energised & glowing. Vinyasa classes are rhythmic and flowing in style, connecting movement with the breath and warming the body gradually, so you radiate naturally from the inside out, leaving you feeling energised and glowing. Pilates is a series of focusing on core engagement and improving flexibility, strength, balance and body awareness. Rise & shine with a dynamic and energising 60 min flow to start your day. With a focus on core engagement, Pilates lengthens and stretches all the major muscle groups improving flexibility, strength, balance and body awareness. Integrating a flowing vinyasa sequence with deep stretches vinyin provides a holistic yoga experience balancing yin and yang through movement and stillness. Yin Flow classes are slower and more introspective, with longer holds working deeply into the poses and targeting the connective tissues & meridians. 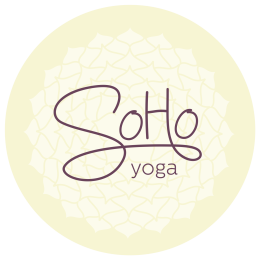 A deeply relaxing class incorporating meditation, supported restorative poses and yoga nidra (yoga sleep) to help you wind down at the end of a busy day. With slower transitions between the poses, Slow Flow is suitable for all ages and levels, or for those simply seeking a more gentle, therapeutic yoga practice.